Last Saturday due to a tight schedule, I opted to stay local. 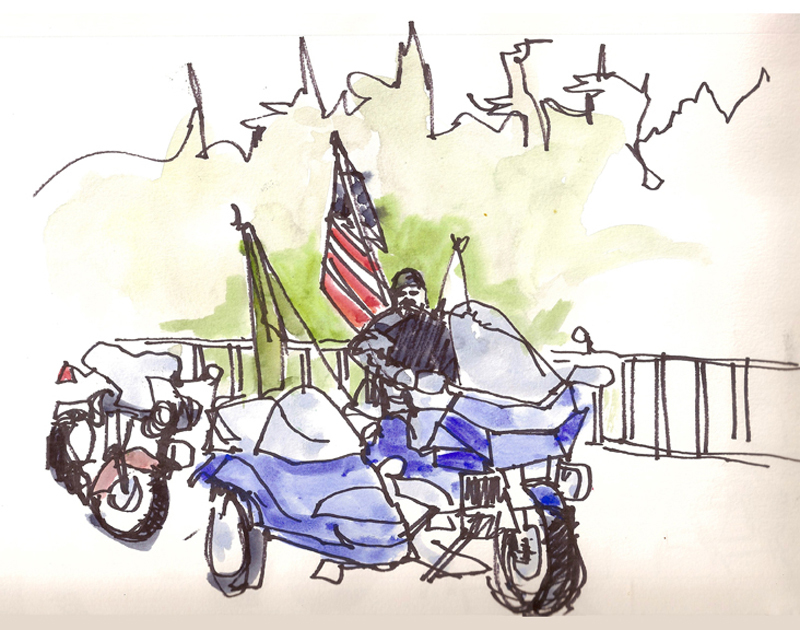 So instead of last Saturday's book signing and Drink 'n' Draw, which I really want to attend, I settled for the Olympia Toy Run. As sketch opportunities go, I wasn't disappointed. Three thousand five hundred motorcycles. 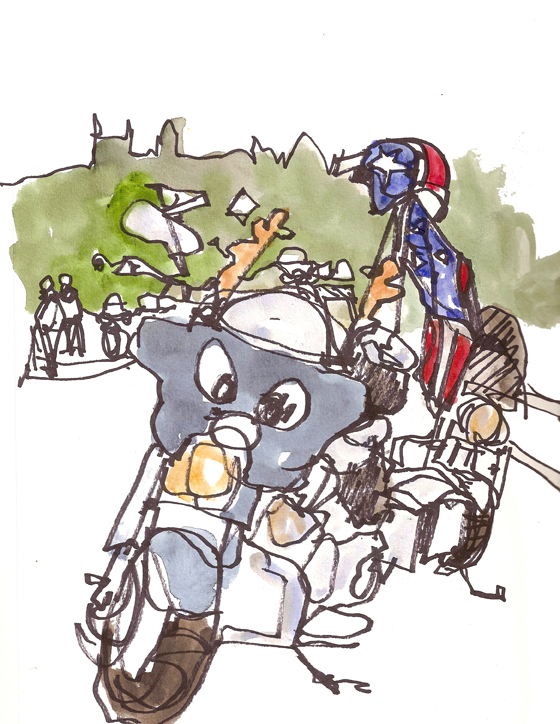 That's the estimated participation for Olympia's 39th Annual Toy Run. Many cycles had two riders, and many more attended the event but didn't ride. 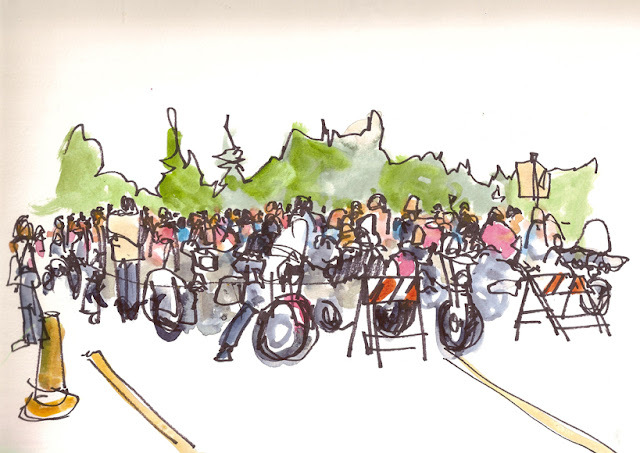 In this town of about 50,000 the rumble of that many motorcycles makes a very audible mark. The Olympia Toy Run started back in 1977 as the brainchild of Joe Sullivan who wanted to provide under-privileged kids with Christmas gifts and build a better relationship between the local community and the biker community. He envisioned the toy run as a way to do both in a big way. Fun! Who knew this was going on in Oly? !